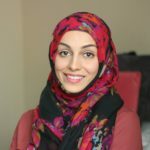 Our December 2016 Featured Blogger is Kate Hepburn from Healthy Muslimah. Kate is a muslimah with a love for all things simple and natural, trying to live a more healthy, balanced and holistic life for the sake of Allah and passionate about helping others achieve greater health and wellbeing, one step at a time. Rewind about six years and I guess I might have been considered ‘healthy’ by some, or at least somewhat ‘health-conscious.’ I knew a little about nutrition. I knew what kilojoules and calories were and a bit about vitamins and minerals. I didn’t eat tons of takeaway or drink gallons of soda. I liked most vegetables. Nevertheless, my diet was full of processed food and it was sugar, caffeine and MSG loaded! I knew these things weren’t *really* good for me, but figured they couldn’t be all that bad. I mean, I felt fine. More or less. It was not long after my taking my shahada in 2010 that I developed a greater awareness and interest in food and nutrition, largely thanks to the encouragement of someone close to me. I watched a few life-changing documentaries and had many ‘No way! Seriously? I don’t believe it!!! How could I not know that?’ moments. I started to read my food labels. As I read through the long lists of unpronounceable names on the backs of the food I was buying, it occurred to me how little I actually knew about what I was eating and so started my journey into greater health and wellness, alhamdullilah. 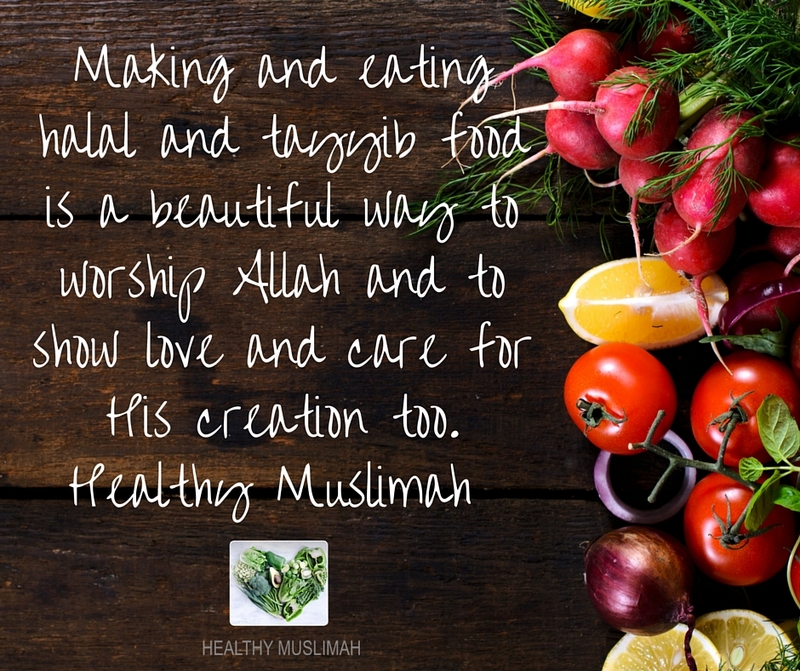 Learning how much the food we eat affects our health and wanting to share this information with others was the motivation to start Healthy Muslimah and, after several years of planning, the blog ‘officially’ launched in December 2015. Yes, someone close to me was key in the start of my health journey and always encouraged me to share what I learnt. I will forever be grateful. Alhamdullilah. Above all else, Healthy Muslimah is about trying to please our Creator by taking care of what He has blessed us with, while being gentle and easy with ourselves and others. It’s about trying to help us find focus, and remember our purpose, in a world that is bursting with distractions. It’s about trying to help us find our centre and balance in a world where we might feel always-busy or overwhelmed. It’s about trying to make small positive changes, for the sake of Allah, one tiny little step at a time. It’ about eating real food. It’s about gaining health and energy. 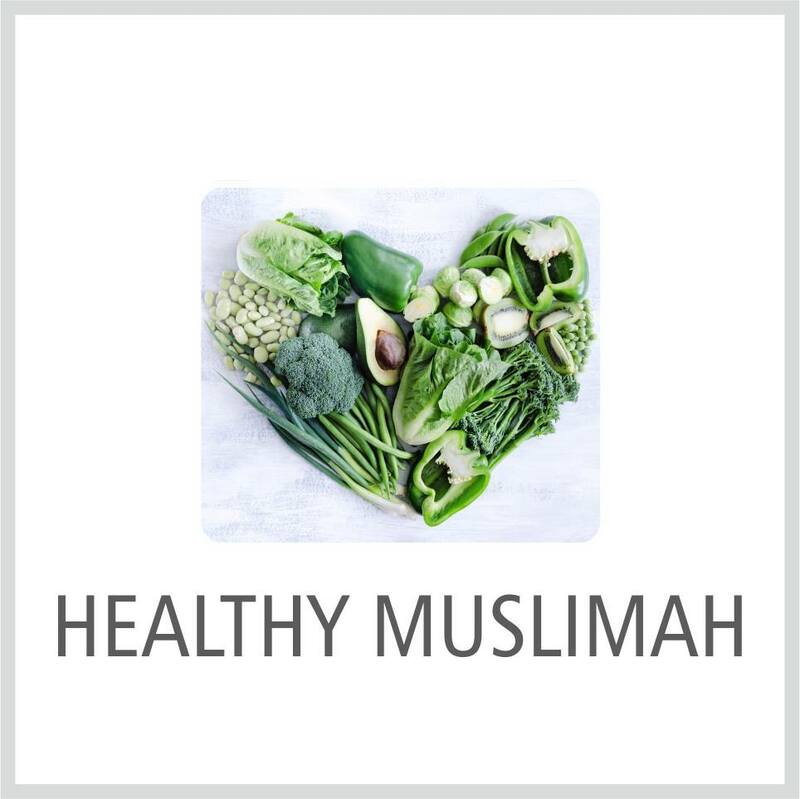 In terms of the name, I think the name Healthy Muslimah speaks for itself for the most part, but ‘healthy’ to me extends beyond the mainstream idea of health: i.e. food and exercise. 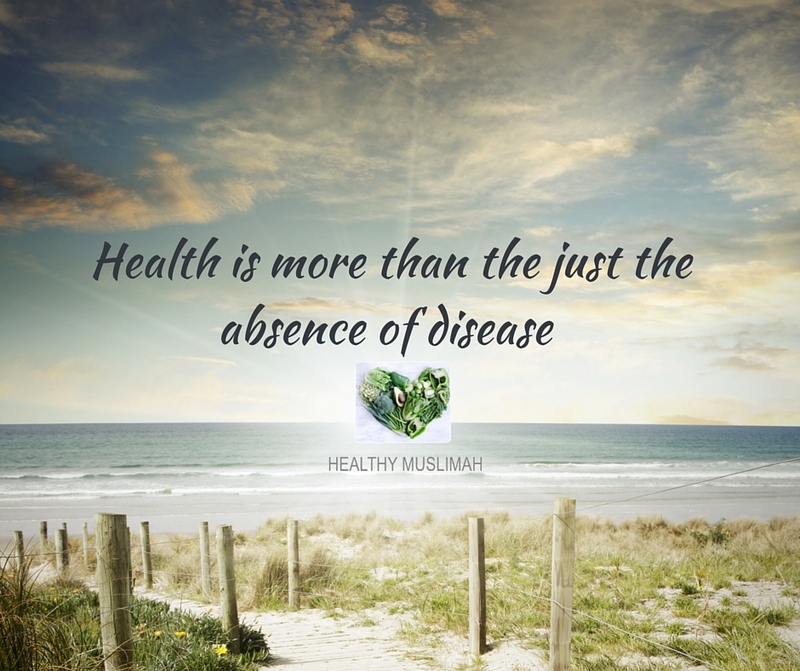 Healthy to me is about the ALL – physical, mental, emotional, social and spiritual health and so ‘Healthy Muslimah’ is about encouraging sisters to embrace greater health in all areas of their lives, one tiny and simple step at a time. AS A BLOGGER WHO IS PROMOTING HEALTHY EATING, AND WITH HEALTHY EATING BEING A BIG THING AT THE MOMENT, DO YOU FEEL MORE PRESSURE ON RESEARCHING IT AND GETTING IT RIGHT? Absolutely! In fact, that’s why Healthy Muslimah has been on a bit of a go slow since I started the site. When I first started learning about health and wellness, I felt this crazy urgency to start sharing the information I was learning. Immediately! 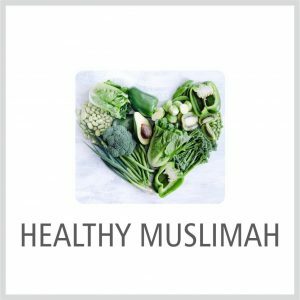 I started planning for Healthy Muslimah… I was on a roll! Then I stopped dead and realized I didn’t have the knowledge I needed to share information on health. I couldn’t tell right from wrong. And there is a lot of misinformation out there, unfortunately. That was the motivation I needed to enroll in a 2-year nutrition consultant program which I’ll complete in January 2017. In shaa Allah. I honestly believe that blogging and sharing any sort of information is an amaana and we need to do the best we can fulfil that trust. I try very hard to be careful in what I share and to provide evidence-based authentic health information. Having said that, it’s also important to recognize that there are a lot of different opinions and views when it comes to health and wellness and there is a lot of scope for variety. Alhamdullilah. I think, for me, as a nutrition consultant and a blogger, I believe in being individual-centred and recognize that not everything is good for everyone and not everything works the same for everyone. At the core of it all though, healthy eating is not complex; it’s simply eating natural, whole food, the way Allah made it. For me, my main challenge at the moment is time. I have so much I want to share but limited time to dedicate to the blog. DO YOU STRUGGLE TO FIND THE TIME TO BLOG? Yes, especially right now, while I’m finishing my studies. I’ve realized that multi-tasking doesn’t work for me. In fact, I’ve found detailed scheduling and multi-tasking to be completely counter-productive! I used to create complex schedules with military precision and, you know what, they never worked. I never got everything done and always felt like I was being mentally pulled in a dozen different directions, never finishing anything. Now, I focus on 1 thing at a time and usually allocate a day, or time slot, to that one thing. That way, I can really focus, gain momentum on what I’m working on and make progress. I’ve done a few reviews which have been fun and a sister recently asked if I’d be interested in speaking at a health summit that’s being planned in Dubai, so that’s something I might do. I’m hopeful that there will be a lot more opportunities once I really focus on the blog and start building it up. In shaa Allah. There is already such an overwhelm of online information, I can’t really imagine what blogging will be like in the future. To be honest, even though I’m a blogger, I really hope there will be a movement away from electronic devices/online communication and towards more natural living, connecting with the earth and, more importantly, connecting with one another and building our relationship with our Creator. 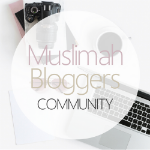 I hope I’ll still be blogging, in shaa Allah, as I have so much I’d love to share but I also want to start spending less time in front of my laptop so will try structure the blog and everything I’m doing around making that a reality. My dream for Healthy Muslimah is that it reaches out to sisters across the world and is a support, an inspiration, a resource and a source of goodness for our ummah. I hope that sisters benefit from the information I share, pass it on to their families, communities and especially their children so that we see a whole new generation of Muslims leading healthier and more productive lives for the sake of Allah. 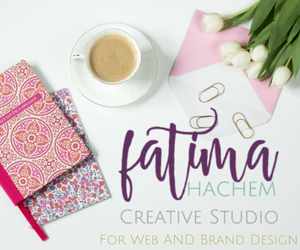 Letting you in on the exciting plans I have coming up in 2017 – I have a couple awesome online courses planned, in shaa Allah, and also the first Healthy Muslimah Online Summit, with a lineup of incredible sisters speaking about a whole range of health topics! Very exciting! Networking is key. It doesn’t matter how great your content is if nobody is reading it so be friendly and connect with others in your industry. Write guest posts. Help each other out and support one another! Let go of imperfection. It’s overrated and nobody is perfect and that’s ok. Just get started! The value you bring to your readers is what really matters and what they’ll care about at the end of the day. Work smart! No need to reinvent the wheel! Use the internet to research anything you want to do. Chances are, if you want to do something, someone else before you wanted to do the same thing AND has probably created an app/service/free course about it so learn from those with more experience. It will save you a LOT of time and hassle! Trust me on this! Be realistic about time and goals – how much time do you have to dedicate to the blog and what can you get done in that time? Be careful of letting your blog consume you and take over your life, distracting you from your Islamic responsibilities. It’s very easy for this to happen and it’s important (and challenging) to keep everything in balance. I love Chelsea! We definitely need more Muslimahs in the health and fitness space. I am so glad to have met Chelsea through Muslimah Bloggers. I love reading her blog posts! I totally agree that time is a major challenge for blogging, especially for me. It is hard to take out time for blogging because my son and other chores keep me busy all day! I love this! I agree that our bodies are a gift from Allah (swt) and sadly most of us don’t know to take care of it! I have changed the way I eat in the last 3 years and it has only recently become a way of life and no longer a diet. It’s just how I eat now. I look forward to reading more from sister Kate. We all need to be healthy conscious. I have so much to learn. I love reading health post. Insha Allah, will visit your blog. I also love the blogging tips. Blogging is no joke and it does consume lot of time, especially while trying to promote the blog. May Allah Grant sister Kate success in all her projects. Aameen. Thanks for introducing me to a new blogger! I think ‘you are what you eat’, il be following Kate for inspiration! Specially for a person like me who will start blogging soon.